Feeding a family fresh, healthy meals seems easier somehow in the summer. Early drop-off times, piano lessons, homework, soccer practice and hours of carpool are back in full swing and healthy eating becomes a little trickier. But let’s face it, a busy schedule isn’t the only reason why it is difficult to ensure daily, proper nutritious habits. The influence of friends, a child’s budding independence and the “choose your battles” mentality are other factors that lead to parents to give in to processed foods. Don’t forget the manipulative marketing ploys that lure children to specific food brands that are toxic for their bodies (to learn more, watch this Ted X Talk by Anne Lappe on “Marketing Food to Children”). While it might feel as though the odds are stacked against you in this good fight of whole food nutrition, we’re here to let you know that you have the power to win it. 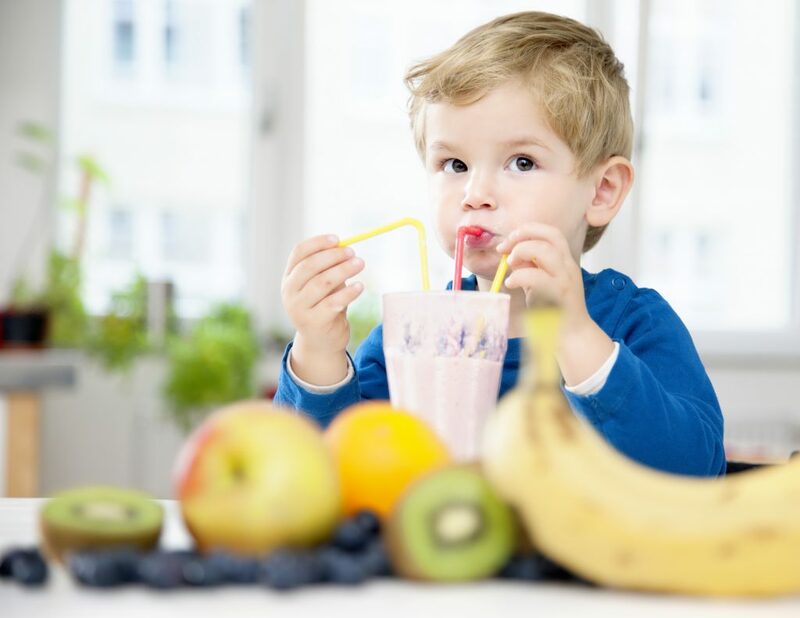 Research: Do you really know why protein and other nutrients are so important for children (as well as adults)? What about the harmful effects of sugar (and all the hidden sugars that your child might be consuming)? And, are you aware that many behavioral issues have been linked to poor nutrition? Talk to other parents: You’d be surprised how common this problem is and if you find a group that are committed to keeping their kids’ healthy too, it makes it easier to keep your own child’s health in order. Make it taste even better: The Purium blog is full of recipes and suggestions on how to amplify Purium products. Get your kids’ involved and get creative together. Note: My teens are very challenging eaters. One of my go-to recipes is a MVP Chocolate (protein) banana shake. I omit the word from the name, so my son always loves it! It helps him last until school lunch starts or postpones the snacking after school. Use our gift code (freshlocal) to receive $50 your first order on iShopPurium.com! Remember when you used to enjoy a beer without weed killer?